As farmers across Cambodia take to their fields this month in anticipation of the rainy season, in a sleepy village in Battambang’s Moung Ruessei district, some are sowing a crop alongside their rice and cassava that’s just as traditional but much more controversial. “Here, ganja is just like in Jamaica,” said Ratanak*, a 42-year-old farmer, after inhaling a lungful of thick, pungent cannabis smoke from a bamboo water pipe. “Because we don’t grow much — maybe 10 to 15 plants — [the authorities] let us grow it,” he said, adding that police had never requested bribes from him over his activities. Vireak*, a cassava farmer in his fifties, said that he had smoked marijuana daily since settling in the area after the civil strife of the mid-90s ended. While he maintained a few plants in his personal vegetable garden year round, he and his neighbours planned to plant most of the annual crop in the Cardamom Mountains – one of the Kingdom’s epicentres of illicit cannabis production. “In the night time in the mountains, with the dew, it helps the plant grow a lot of buds,” Vireak said. Cambodia has a complicated relationship with cannabis – which is believed to have been cultivated and used for medicinal, culinary and recreational purposes here for hundreds of years – and amid global moves away from prohibition of the drug, there are suggestions that the government should follow suit. On paper, it’s still illegal – in accordance with the Single Convention on Narcotics treaty passed in 1961 – and in recent weeks, police have busted at least four large-scale marijuana growing operations, including almost 8,000 plants discovered amid a sesame crop in Pursat. But in Kandal province’s Kien Svay district this month, when police discovered a crop hidden in a 48-year-old woman’s papaya fruit patch, they let her off with a warning when she claimed she was HIV-positive and was using the drug for medicinal purposes. And, of course, in Phnom Penh, dealers freely hawk marijuana on the riverside, while restaurants advertise weed-infused “happy” pizzas as they have for decades. Cambodia's NGO community meets in Phnom Penh to discuss recommendations to the country's aid donors, Sept. 25, 2012. 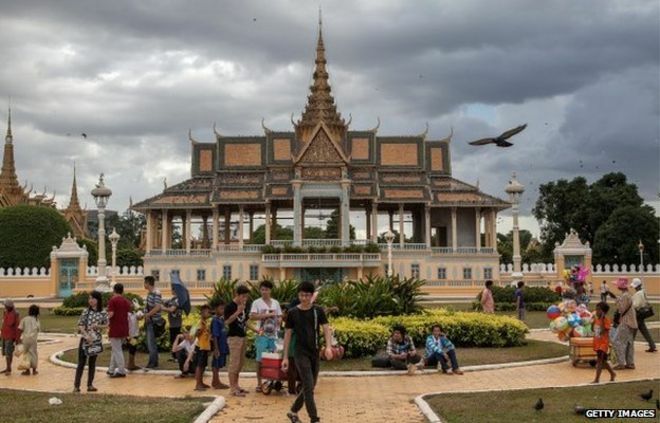 Cambodia’s government on Friday accused local civil society groups of “stirring up trouble” by demanding that it wait to submit to parliament proposed legislation they say could limit their work in the country and insisting they be included in the drafting process. Prime Minister Hun Sen announced last month that the draft Law on the Association and the Non-Governmental Organization (LANGO) would be passed by the National Assembly, or parliament, by the end of May. Since then, repeated requests for the government to publicize the current draft of the law for consultation have been refused. On Friday, local and international NGOs held a press conference in the capital Phnom Penh addressing their concerns over the LANGO, which they said would restrict freedom of expression and undermine democracy in Cambodia. They called for the Council of Ministers to hold off on submitting the draft law to the National Assembly until it undergoes scrutiny and revision to ensure that problems with a 2011 draft—which was released to a storm of criticism—are addressed. Press and Quick Reaction spokesman for the Council of Ministers Tith Sothea responded to the proposal by saying it was “too late” to postpone submission of the LANGO and suggested that NGOs pass their recommendations on the draft law to parliament. “Civil society can send their recommendations on any shortcoming in the draft law to the National Assembly to avoid interrupting the legislative process, but it is up to the legislature to decide whether to accept them,” he said. As discussed in earlier blogs, Chinese colonial diasporas had both indirect and direct effects on the southern advancement. The European Union yesterday articulated its concern over the sluggish pace and climbing expense of the UN-backed Khmer Rouge tribunal. According to government spokesman Ek Tha, the issue was brought up during a meeting between Deputy Prime Minister Sok An and a visiting EU delegation led by Pierre Amilhat, directorate-general for international cooperation and development for Asia, Central Asia and the Middle East. He added, however, that both sides could not interfere with the tribunal process. The EU was unable to respond before press time. Money has been a key ongoing concern of the tribunal, particularly on the national side, which has been plagued by funding issues and saw staffers briefly walk off the job in 2013. ECCC spokesman Neth Pheaktra yesterday said the national side will again face financial shortfalls with regard to staff salaries from July 1 onward. “We call upon all stakeholders to provide the funding to ensure that the judicial proceedings can move forward without interruptions,” he said. The EU was the tribunal’s seventh largest donor last year, contributing $9.2 million. Senior Khmer Rouge leaders Nuon Chea and Khieu Samphan face charges of genocide in the second part of their trial at the tribunal. They were found guilty of crimes against humanity related to the forced evacuation of Phnom Penh last year and sentenced to life in prison. Take a one-way ticket out of a Pacific island detention centre and you could start a new life in a country where you are told jobs are waiting, quality medical services are available, and there are no problems with violent crime or even stray dogs. Free accommodation is provided, along with monthly income support, health insurance, complimentary language classes and more. Sound a lot like Utopia? 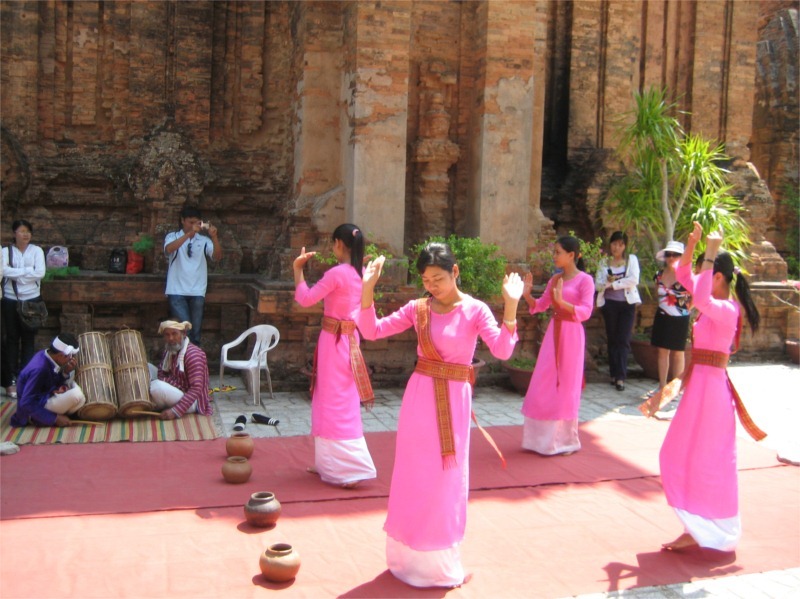 Try Cambodia, one of the poorest countries in the world. Or, welcome to a version of life in Cambodia promised to four refugees - two Iranian men, an Iranian woman and a Rohingya man from Myanmar (also known as Burma) - for agreeing to resettle in Cambodia instead of Australia. 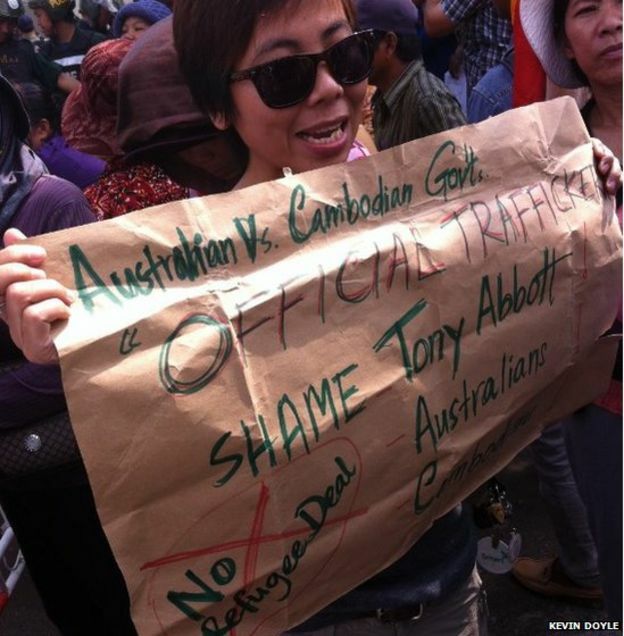 When they arrive in the capital Phnom Penh from Darwin, the four will be the vanguard of a controversial deal in which Cambodia has agreed to resettle Australia's unwanted refugees. Macau has massive resorts with hundreds of tables that collectively bring in seven times the casino revenue of Las Vegas. Cambodia’s border casinos mostly have a dozen or two tables that are often a few big player wins away from insolvency. In Bavet, the main border cluster for players from Ho Chi Minh City, there’s a scale copy of Bellagio called Winn, the name written in the same script that adorns Wynn Resorts properties, and a weed-strewn driveway leading to its locked entrance. Many border casinos seem like punchlines in search of a joke. But in Poipet, the cluster of ten casinos nearest Bangkok that I visited earlier this year, gaming operators were laughing their way to the bank early this century, before post-monopoly Macau, NagaWorld in Phnom Penh and Singapore’s mammoth integrated resorts began luring players to their brighter lights. Without a casino opening in Macau in three years (until last week), better roads for the three hour drive from Thailand’s capital, longer border opening hours and, perhaps most important, Thailand’s military rulers cracking down on Bangkok’s vast illegal casino trade, Poipet is all smiles again. The members of the Khmer Typography Team act as a collaborative entity: they dislike one-on-one interviews, their designs are often achieved thanks to cooperation over coffees, and their fonts are freely available for download from their blog. With the exception of the two members who are monks, they sport matching T-shirts featuring their logo on the front and sample fonts in red or gold on the back. Young, tech-savvy and unfamiliar with offices, the team are at the forefront of a surge of interest in typographical design in Cambodia taking place mainly online and in the coffee shops of the city’s capital. Nouv Samnang, 28, the team’s unofficial spokesperson, explained that the group’s interest in bespoke fonts was initially sparked by a one-off workshop in Khmer font programming in 2008. Since its launch, Khmer Fonts’ Facebook fanbase has grown to more than 27,000 members, including many new amateur typographers who head online to share their first attempts at Khmer typography or to crowd source solutions to glitches in the Font Lab and Photoshop software that they use. Members are also creating an unofficial archive of designs they like, sharing everything from the spidery swirl of Buddhist scriptures to the psychedelic ’60s slant of Sinn Sisamouth’s album artwork. One popular online post shows a blackboard in Banteay Meanchey province with letters chalked by a teacher: the woman’s handwriting is considered so beautiful that typographers are hounding her for permission to digitise the style. To type Khmer letters on a keyboard involves multiple keystrokes, meaning that English or phonetic Latin script spellings of Khmer words are often used instead of Khmer script in informal communications. But Samnang, a freelance designer, said that over the past few years, young Cambodians had been embracing their own alphabet and were increasingly going online to share homemade posters and memes written in Khmer script. A fresh batch of US diplomatic cables published on Wednesday by WikiLeaks has shed light on the increasing regional tension caused by the Khmer Rouge regime as it entered its third year in power, particularly in Thailand, where patience was thinning over activities along its border. A cable from May 1978 detailing Admiral Maurice Weisner’s visit with the then Thai Prime Minister Kriangsak Chamanan details Thailand’s unease over China’s support of the Khmer Rouge. He detailed China’s furnishing of Cambodian forces with 122 and 130mm guns, as well as 107 and 120mm rockets. “[Kriangsak] knew, from shell fragments found in Thailand when the Cambodians have fired across the border, that the Cambodians have new equipment in the border area,” the cable reads. Timber exports from Cambodia to Vietnam more than tripled in 2014 compared with the year before, despite ongoing negotiations to curb the trade, according to a new report. The total amount of sawn wood exported to Vietnam from Cambodia was 153,547 cubic metres in 2014, compared with 51,125 cubic metres in 2013, according to past data and a draft report from Forest Trends, a US-based NGO. Phuc Xuan To, a co-author of the report, said he found on a recent border trip that most of the timber imported from Cambodia to Vietnam was illegal. “Vietnamese traders go directly to Cambodia and buy illegal timber from Cambodian loggers,” he said. The value of the wood was $256 million in 2014, compared to $45 million in 2013, although value figures are routinely underestimated to avoid import taxes. The report stated that all the sawn wood imported from Cambodia and Laos had very high market value, as most of it was rosewood or other luxury timber. Among the hundreds of WikiLeaks cables on Cambodia released yesterday, some revealed the more personal – and bizarre – side to US diplomacy. A plan hatched to fly US tourists on day trips from Bangkok to visit Angkor Wat “could eventually have [the] impact of opening the regime and moderating [its] domestic policies”, a November 23, 1978, cable asserted. The US expected either former Thai foreign minister Chatchai Chunhawan’s Erawan airline or national carrier Thai Airways to open the route by the following March, and had prepared to post travel advisories and “warn prospective American tourists of potential dangers and strongly remind them of our inability to provide consular protection for visitors to Kampuchea”. 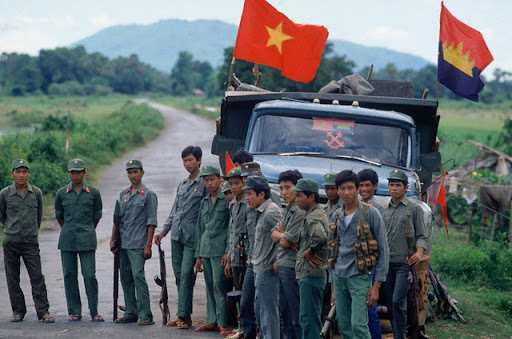 In Myanmar, the US lobbied Yangon to approach Pol Pot’s regime to “counsel [Phnom Penh] to moderate its policies”, but the one-party state ruled by dictator Ne Win declined the advance. Though “the carnage in Kampuchea appeared to be without recent equal”, a Myanmar official said, “much blood is spilled in people’s revolutions”. School of Vice: What else do they know or pretend not to know about what's happening all over the Kingdom? After weeks of denying any knowledge of the dozens of Montagnard asylum seekers waiting in Phnom Penh to register their claims, an immigration official yesterday admitted that the government was well aware of the new arrivals. 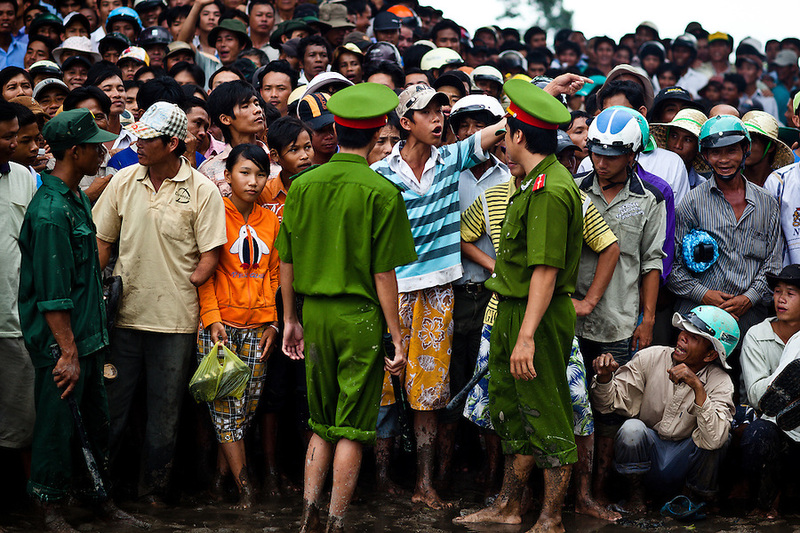 Hul Sarith, chief of the General Department of Immigration’s registration office, said the UN had informed the department of the influx of asylum seekers from Vietnam. “We got the information from the UN about them through the phone. [We know] there are some more now, but nothing has been carried out,” he said, referring to the government’s failure to register the Montagnards – an indigenous peoples from Vietnam’s Central Highlands – and process their claims. On Wednesday, the UN refugee agency (UNHCR) told the Post that there were 67 Montagnards awaiting registration. Some have been waiting since January. Sarith declined to give any reason yesterday for his department’s inaction, only repeating that the claims had not yet been processed before hanging up the phone. Montagnards fleeing alleged religious and political persecution first began entering Cambodia in October. Since then dozens have been arrested and deported, while just 13 have had their claims processed. The 13 were all granted refugee status in March with the intention of resettling them in a third country. But Vivian Tan, regional spokeswoman for UNHCR, said this week that no countries had yet been found that would take them in. 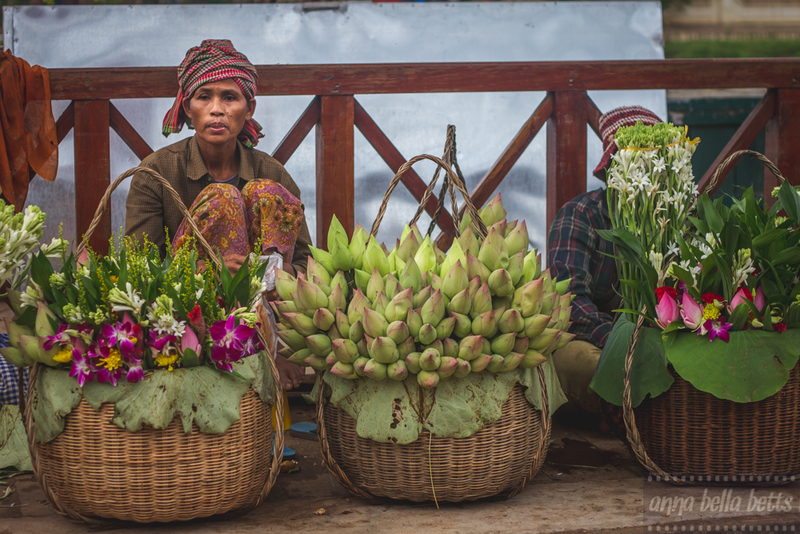 Can Cambodia Become the Gateway to ASEAN’s 600 Million Consumers?